Hohhot is my home and it generally appears to be a peaceful capital city located in northern China, in the Autonomous Region of Inner Mongolia. Until the early1980s, Hohhot was divided into three administrative districts. 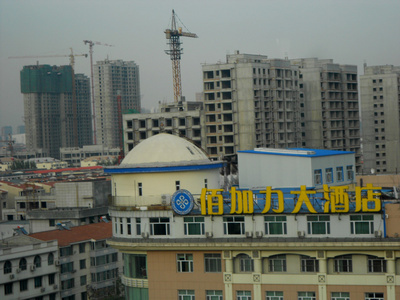 In the last two decades, a fourth district (Sai Huan) has been officially added, because the city's population has steadily increased. (we are currently at a bit over two million, consider small by Chinese standards). The three older districts are called by Chinese names; the Xin (New); the Hui (Muslim) and the Yuquan (Jade Spring). This name is claimed to be a deliberate mistake, made to correct the power relationships between Mongol and Han, which is explained later in this article. The newest district, Sai Huan, means “far beyond” in Mongolian, and is a concession to the now minority Mongol population living in the city and in the Inner Mongolian Autonomous Region. There are also districts outside of Hohhot that are fast merging and becoming city suburbs. Hohhot and its environs have a long, colorful history. It was a key city for ancient traders, for the Silk Route (going west to Europe), and for the lesser known Tea Route (heading north to Russia). For centuries, the area has also been an important meeting place, sometimes peaceful, sometimes violent, for Mongolians, other nomadic tribes, Tibetans, and the Han Chinese. Altan Khan was 61; he wanted peace. He settled 90 kilometers west of today’s Hohhot and married a 15 year old Mongolian girl; she was a Buddhist, and she covinced him to convert fully to Tibetan Buddhism. In 1681 he converted (to Tibetan Buddhism). Then two important lamas from Tibet came, and they built the temples. But Altan Khan’s wife was astute: she wanted to protect the temples, so she had walls built around them. This made people living there feel safe, so Muslim traders (Hui people) from the west (Xin Jiang) started to come and live. Hohhot became a lively place. Gradually, the small town grew. Mongolians named the city Ko Ke Go Te (Blue Town). Tibetan lamas on their way to visit Mongolian and Chinese leaders in Beijing always stopped here. Priests left scrolls containing invaluable spiritual and medical information. Buddhist wisdom was translated into the Old Mongolian script. The town also became an economic hub, with traders and travelers from China heading northward to Mongolian cities to trade, or westward to link up with the Silk Road. As Hohhot flourished, Ming Dynasty leaders felt threatened by the emerging Mongol city. Altan Khan, using diplomatic skills, agreed to enter into a symbolic tributary relationship with the Ming. In 1575, to celebrate this, the city was renamed Gui Hua (Return to Civilization). Altan Khan was the patron of important lamas. When he died, the highest lama traveled to his palace and had his body reburied. This lama himself was old and ill. He, too, died shortly afterwards. Consequently, more temples were built around Hohhot. In addition to strong spiritual ties, trade relationships also grew stronger in Hohhot. The city hosted many Buddhist temples. Over time, many of these temples were destroyed through wars and fighting but many were rebuilt by ruling powers. 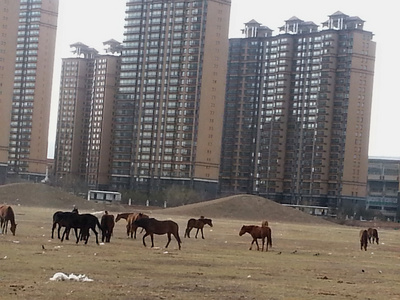 The grasslands around Hohhot served as lush pasturelands for whoever controlled the area. During the last two Chinese dynasties, the Ming and the Qing, Mongolian tribes, notably the Temut, Altan Khan's tribe, controlled this area but were subservient to the ruling Chinese. In 1908, an outbreak of the bubonic plague hit Hohhot, killing over 10,000 people. At this point, the city was on the brink of economic collapse. Hohhot revived when the railroad was built. The railroad impacted the city, connecting merchants and residents to trade routes and information, and creating a way for more settlers to come north and reside in Inner Mongolia. Han Chinese migrated from Shanxi, Shaanxi, and Hebei, overrunning the local Mongolian population. 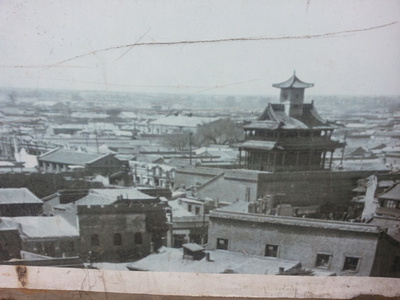 The Qing Dynasty fell in 1911 and in 1921 Hohhot was incorporated by the communists. During the 1920s and 1930s, China experienced great upheavals. Hohhot was renamed as Sui Yuan. When the communists took power in 1949, the city was again designated Gui Sui. On April 25, 1954, Gui Sui became the capital of the Inner Mongolia Autonomous Region, and within a month the city was renamed Hohhot/Huhhut. Today the city is a thriving bedroom community for wealthy Beijingers. In the next decade, urban planners expect to merge Hohhot with two nearby cities, Bao Tou and Erdos, to create a northern megapolis. Whether these ambitious experts have factored in things like infrastructure, water, and other needed resources for such a large urban area, is unknown.